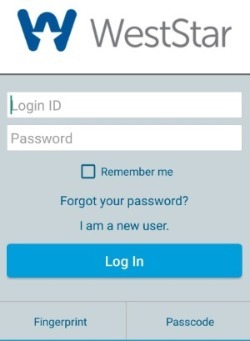 Mobile Deposit1 through the WestStar mobile banking app is a secure and easy way to deposit a check from virtually anywhere, anytime. Users of our app should be aware of an upcoming app update on Tuesday, February 5th, to include a new endorsement requirement instituted by the Federal Reserve. For all checks deposited via a mobile service, each must include "For Mobile Deposit Only" handwritten below your signature in the endorsement area on the back of the check. If you deposit a check through our mobile app without a signature or this endorsement, the check may be rejected and the deposit will be removed from your account. To help you avoid this situation, our mobile app will display a reminder message to include "For Mobile Deposit Only" below your signature. If you have any questions regarding the app update, you can visit our Mobile Deposit FAQs or call our Client Service Center at (915) 532-1000. Mobile deposits are subject to the terms and conditions of the WestStar Online Banking Disclosure. 1 You will need internet access on your mobile device to use all the features of the mobile app service. Your mobile service provider may charge a fee for its web services. Please check with your mobile service provider for details on its fees and charges. Businesses using Cash Manager may not have access to all of the products and services. Please contact your account representative or call (915) 532-1000 or 1-800-366-4578 for additional information.